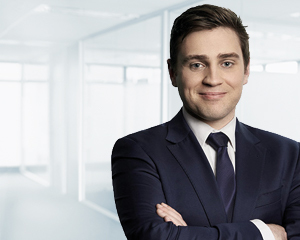 As a member of the Melbourne accounting team, William Linnett supports Dixon Advisory clients in both Adelaide and Melbourne with establishing and operating their self managed super funds (SMSFs). He specifically provides advice and implementation on accounting, administration, taxation and compliance, including completing financial statements, tax returns and audits. Working to the highest standards, William believes that the outstanding holistic service that the firm delivers to clients is what sets Dixon Advisory apart. He says, “We are always just a phone call away and pride ourselves on building strong relationships with our clients while assisting them with all their super queries”. William says the best part of his work at Dixon Advisory is being able to make a positive impact in the lives of clients. He says, “My objective is to provide each client with the highest service possible and ensure that they are happy and satisfied, while also helping them achieve their retirement goals”. William joined the firm as part of the Graduate Program. He holds a Bachelor of Commerce (Accounting) from the Australian Catholic University and is also a member of the Institute of Chartered Accountants.